This report covers our recent visit to the Research Center for Ars Vivendi at Ritsumeikan University. It provides a background to the visit and an overview and commentary on the activities at the Center. We were invited from the Centre for Disability Studies (CDS), University of Leeds, to provide a short course on disability studies to Japanese and Korean students, by Professor Shin’ya Tateiwa, the founder and director of the Research Center for Ars Vivendi at Ritsumeikan University, in February 2010. The invitation was due to a longstanding involvement in the development of disability studies and politics at both universities. The course involved a series of lectures and seminars spread over four days ? 21st to the 24th September 2010. Topics covered in lectures included: definitions and theories of disability, disability policy and practice, disability in global perspective, and disability politics. 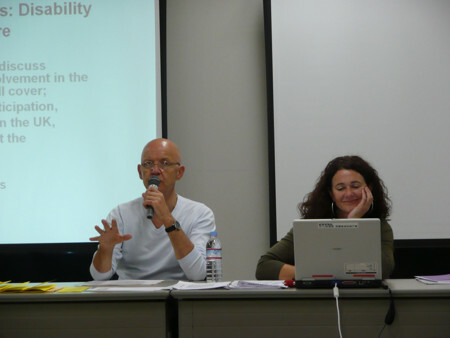 Corresponding seminars focused on the relevance of these topic areas to the experience of disabled people in Japan and Korea and ‘developing’ countries. 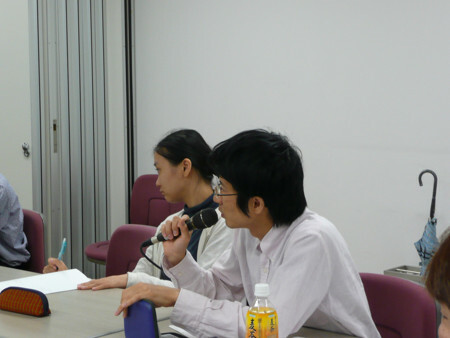 Following the first lecture, students were split into small groups and asked to discuss the relevance of the various definitions and theories of disability to the Japanese and Korean experience. A similar strategy was employed for the second and third sessions. In the second seminar students were invited to discuss and comment on Japanese and Korean social policy with reference to education, employment and independent living. Students were asked to discuss the strengths and weaknesses of the spread of western influenced ideas such as ‘advanced’ medicine, formal education and individual rights to poor, ‘developing’ nations in the third seminar. Each seminar also provided an open forum for students to ask questions on any topic within the context of disability. The classes were attended by 22 students from Japan and Korea. Their knowledge, understanding and enthusiasm for the subject area were outstanding and a credit to everyone involved in the organisation of this event. Students listened attentively to each of the lectures, participated enthusiastically in the seminars and asked a range of thoughtful and challenging questions. This was only possible because of the excellent support provided by Professor Tateiwa and colleagues: Minoru Kataoka, Midori Hiraga, Tetsu Hakoda, Hee Kyong Chong and Chihoko Aoki. 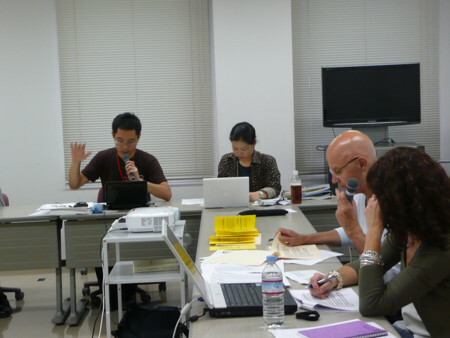 Like most westerners we are unable to speak Japanese so we sent several readings and power-point presentations for the classes to the staff prior to our visit - all of which had been translated into Japanese before our arrival. 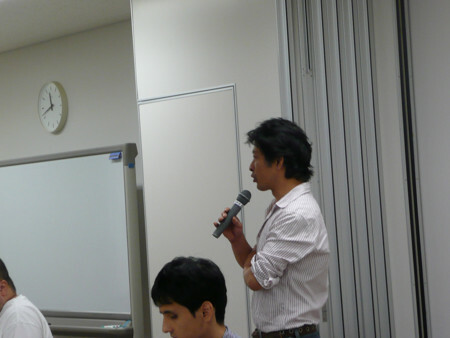 Also additional contributions to the lectures and question and answer sessions during the seminars were translated from Japanese into English and English into Japanese almost simultaneously by Midori and Tetsu. In short the organisation of the event was truly exemplary. We learnt a great deal and were especially impressed by the vast archive of writings on health, Japanese disability policy and disability politics collected and archived by Professor Tateiwa and his team. There are over 7000 books and innumerable articles, pamphlets and magazines written by disabled activists and scholars catalogued and stored in the Ars Vivendi archive dating back to the 1950s; a veritable treasure trove of insights, knowledge and research which begs wider dissemination beyond Japan. Our visit was made particularly memorable by the warmth and hospitality shown to us by everyone involved. In short, this was a truly unforgettable and enjoyable experience and we sincerely hope that our links with the Research Center for Ars Vivendi will continue in the foreseeable future.